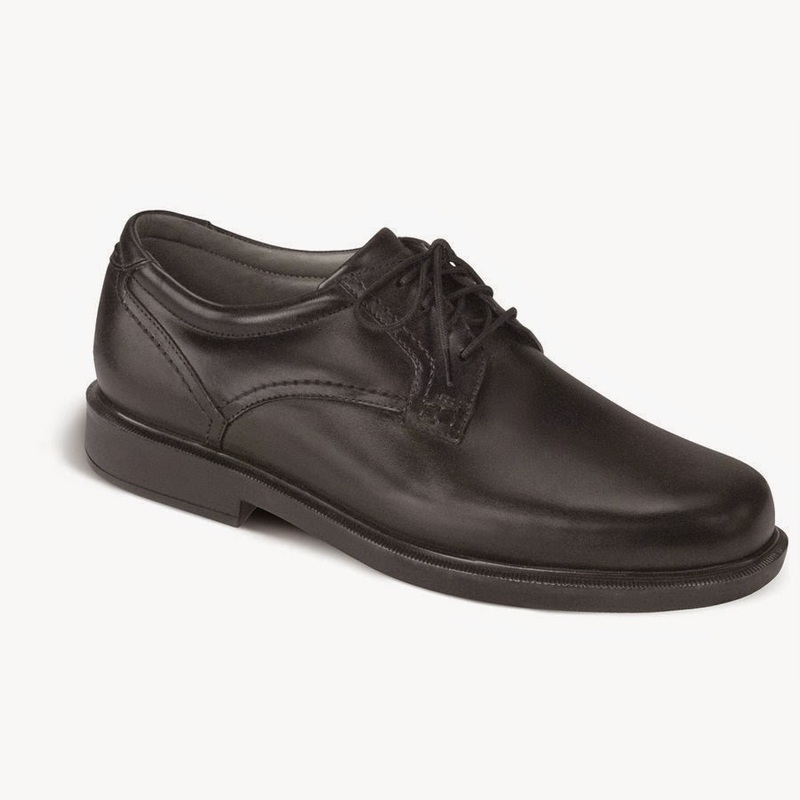 Betty Ensor Thomas ..... For years Men have been asking for it AND now we are pleased to say that SAS® has come out with a Men's Dress/Casual Shoe with a plain toe and a separate heel instead of a wedge. Today I am introducing you to AMBASSADOR. In the developing process SAS® targeted a more contemporary attitude but still applied many of it’s common features and added even more. The best premium leather is used for the upper and the softest leather is used for the lining. These leathers have been kept loose over the vamp area which will help eliminate many of the creases at the flex point at the top of the foot. 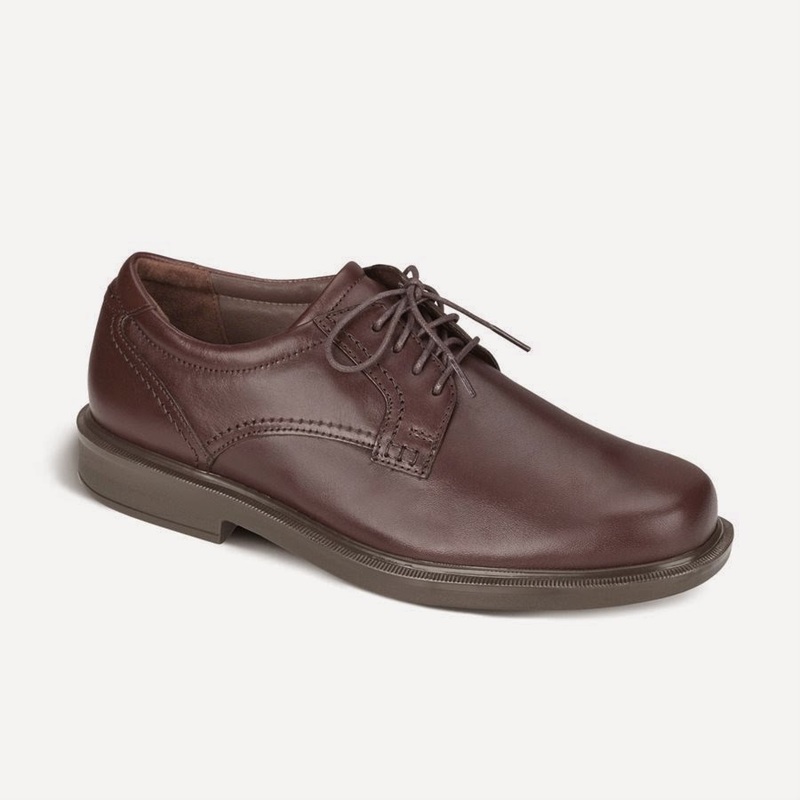 The leather lining is padded in both the heel quarter area and under the tongue. A new and interesting feature is that a built in cushioned arch is in the lining itself. This feature compliments the contoured, supportive arch that is molded into the removable foot bed. AMBASSADOR comes with SAS’s Odor Resistant Tripad Cushions that cushion the ball of the foot and the heel. It has a NEW SAS Contoured Comfort Footbed called the Ever Bounce. It is removable for those that use orthotics. It is molded of soft polyurethane to fit and support the contours of the foot. It has an enhanced arch and metatarsal and comes with a molded heel cup. 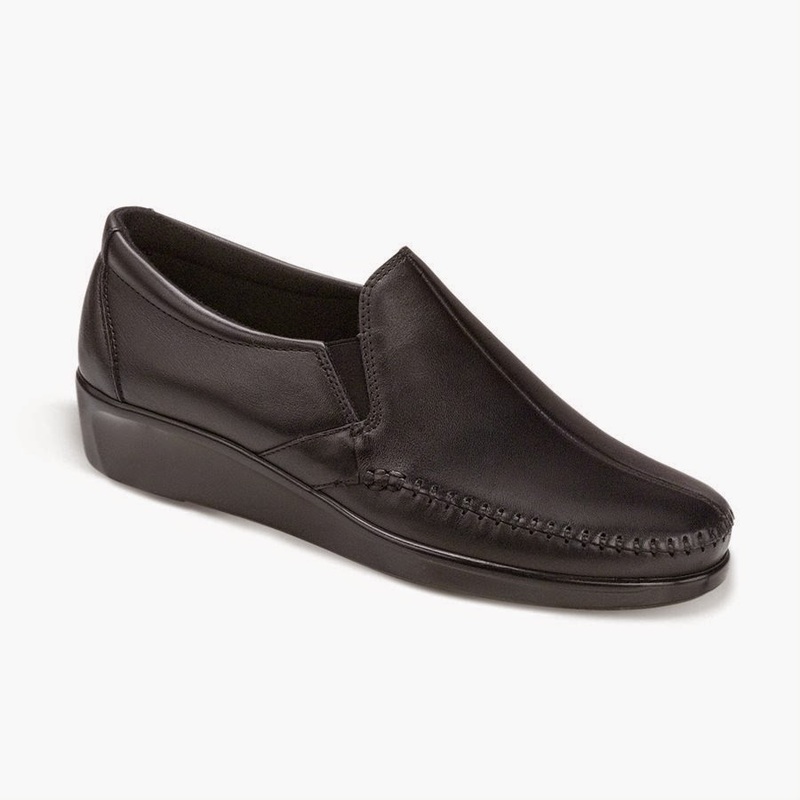 Soft leather covers it for enhanced comfort. It also has a NEW SAS All-Day Comfort Supersoft Lightweight Sole. The sole is a one piece molded welt polyurethane sole that is lightweight and flexible. This cushioned sole provides for soft cushioned comfort with every step you take. Another NEW is SAS’s Foot-Shaped Last with a more moderate toe design. 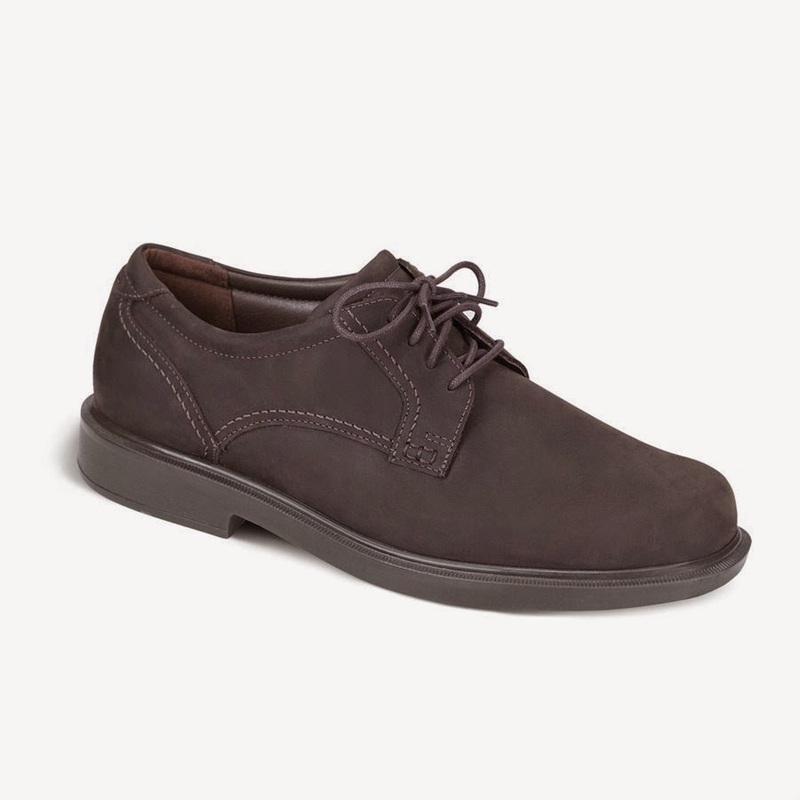 This last follows the natural shape of the foot and provides comfort and plenty of room for the toes. Black, Brown, Coffee Bean, and Oily Black. As always it is best to be fitted in your shoes by a professional. Drop by and see us and have your feet measured for the proper length and width. There is no doubt that SAS’s DREAM is dreamy. 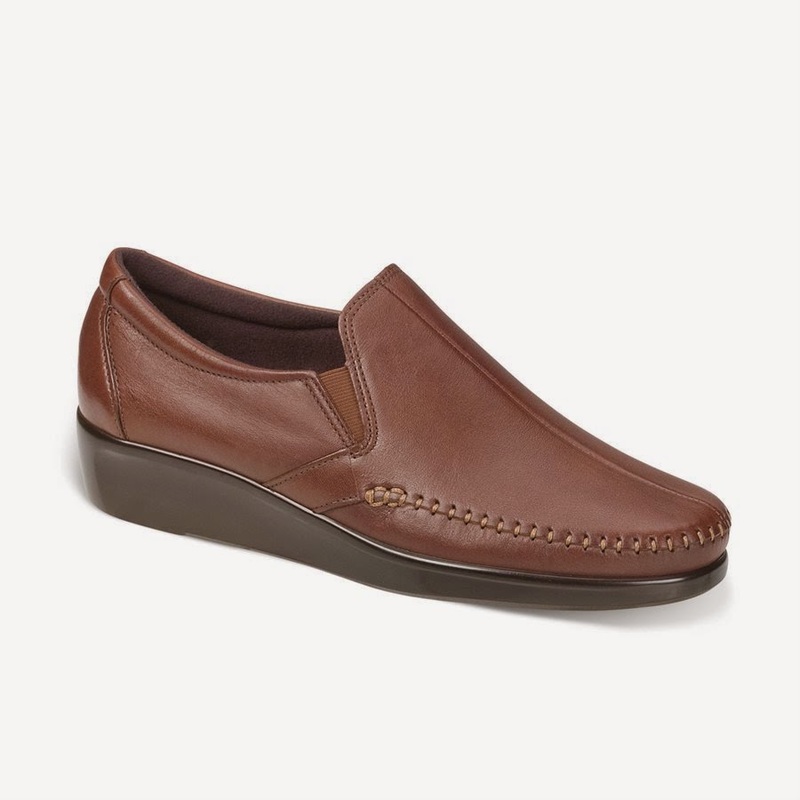 Designed to fit and follow the shape of your foot DREAM is made with genuine moccasin construction which wraps soft, supple smooth leather completely around your foot. The upper is soft cushion lined for added comfort. Elastic gores on each side allow easy on and off. Made with plenty of toe room SAS’s All-Day Comfort last (unique to SAS) provides exactly what it’s name implies - “All Day Comfort.” SAS’s signature Odor-Resistant Tripad Cushions are full length in this shoe which provides all day shock absorption. There is an additional cushion in the heel area too. You will get All-Day Comfort with the Supersoft Lightweight (did I mention lightweight?) wedge sole. It has a wider base for better stability and maximum shock absorption. As with all SAS® Shoes the sole is made of long lasting polyurethane that contains millions of tiny air bubbles that cushion each step. The wedge heals measures approximately 1 ½ inches. DREAM comes with a full length (removable) cushioned footbed with a contoured arch cushion. Add the firm heel counter for stability and a No-Bite Padded Collar for ankle and heel comfort and you have a new shoe that is truly a DREAM come true. As always it is best to be fitted in your shoes by a professional. Drop by and have your feet measured for the proper length and width. Black, Brown, and Black Snake.